All-purpose variety with superb flavor, disease resistance and heavy yield on determinate plants. Crack-resistant fruits average 7 oz. Tomato, Celebrity Hybrid is rated 4.5 out of 5 by 23. Rated 4 out of 5 by DiFromVA from Pretty tomato with good taste and yield The Celebrity tomatoes were the prettiest in our garden. They didn't split or have insect damage lines on them, and they were disease resistant. When we gave tomatoes away, these were chosen first, and they produced a good yield. The flavor was very good but we prefer the brandywine hybrids for flavor. The Celebrity will definitely be part of our garden for next year because of their appearance, yield, taste and disease resistance. 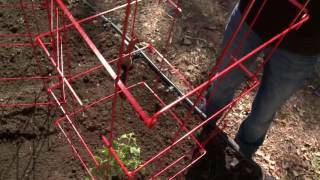 Rated 5 out of 5 by DianneGL from Celebrity tomatoe I planted two in each of my Earth boxes in Nov2014. Growth was terrific, production yied was excellant. They produced up to June 1st,2015. Very flavorful, not large fruit but volume makes up for it. I even dehydrated some for this coming winter soups and sauces. Dehydration really produced intense sweet flavor. Plan to repeat again this fall. Rated 5 out of 5 by Sallycorneater from Old Favorite Celebrity is our "Old Reliable". Been planting for many years and always comes through even with our cold.wet season and deer feeding this year.Tasty. nice medium size, smooth. Rated 5 out of 5 by Brutus from Very solid tomato! We grow more than a dozen different varieties and we always include Celebrity. They can't be beat for dependability and production. 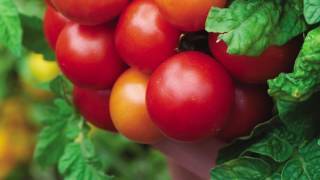 Sure, there are tastier tomatoes out there, and others that produce more and bigger fruit. But overall, you can count on Celebrity to grow and produce when others might fail. The disease resistance is excellent and the fruits are always very uniform. Very good slicer and also works well for canning. Highly recommend. Rated 5 out of 5 by MacT from Celebrity Hybrid I rechecked the seed package just in case. Good germination, good looking plants. I babied some to get a few before 7/4 but have to say was in disbelief with the size. They kept growing and growing. The early fruit are all in excess of a full pound and one slice of the larger ones completely cover a slice of bread. If it isn't Celebrity (which I count on to resist blossom-end rot), I'm not complaining. Image and lot number available if needed. Rated 4 out of 5 by SPJB1987 from Tried and True I really like these tomatoes. This is my second year planting them but this year I started them from seeds. They germinated really well and it seems like over night they went from seedlings to getting their true leaves. I started them in pellets and transplanted to peat pots and they are thriving. I started them a month ago and they are about 3-4 inches tall. I used these for slicing and making salsa. They are very meaty and dense tomato. They are pretty disease resistant but just in case I spray them with baking soda/dish soap and water solution. Rated 5 out of 5 by RPAA from Great Tomato This is the tomato to have in your garden. My wife and I grow them each year and are never disappointed. The flavor is great and the size is just right. Very productive.